Georgia is a hotbed of Civil War history. On our way south we stumbled on the farm where General William T. Sherman started his historic Atlanta Campaign. The farm is located just north of Dalton, GA in Tunnel Hill which is also the site of the Great Locomotive chase, when Union soldiers attempted to cut the important rail line. The 1500 foot tunnel is the oldest in the southeast and just a stone’s throw from the Clisby Austn House where he kicked off his Atlanta Campaign which is part of his notorious March to the sea. When I read the reason behind the march, it was eye opening and bone chilling. The purpose was to frighten Confederate citizens so that they would give up the Confederate cause. I guess the thought that war is just among the soldiers is totally naïve both then and now. The farm house has a lot of history, before the war it was the home of the prosperous Reverend Clisby Austin Sr. Rev. Austin was a farmer and businessman from east Tennessee that came to Tunnel Hill and bought 320 acres, built a hotel, church and store and constructed the brick home and named it “Meadowlawn.” Fear of the war made Rev. Austin sell his home and farm on July 16, 1862. 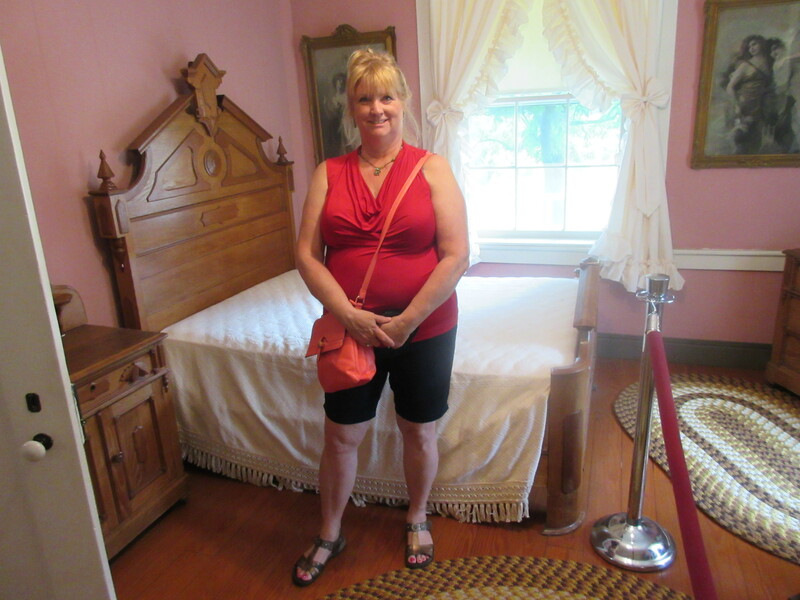 By 1863 the house was in use as a Confederate hospital. It was used after the Battle of Chickamauga and general John Bell Hood’s amputated leg is thought to be buried somewhere on the farm! Bloodstains on the wooden floors can still be seen today. Confederate Gen. Joseph Johnston’s Army of Tennessee. The house has pictures of several of the generals and the guide is quite knowledgeable about the home and war and Sherman’s stay. Sherman thought he had General Johnston surrounded when he tried to catch his troops by surrounding them in a battle at Rocky Face. Thinking he had defeated the Gen. Sherman left town only later to learn that Johnston’s army escaped. Our guide told us that the farm has only been open for a short while. There were several different owners that lived in the house then it was eventually purchased by the Kenneth Holcomb family of Tunnel Hill who used it as a private residence. 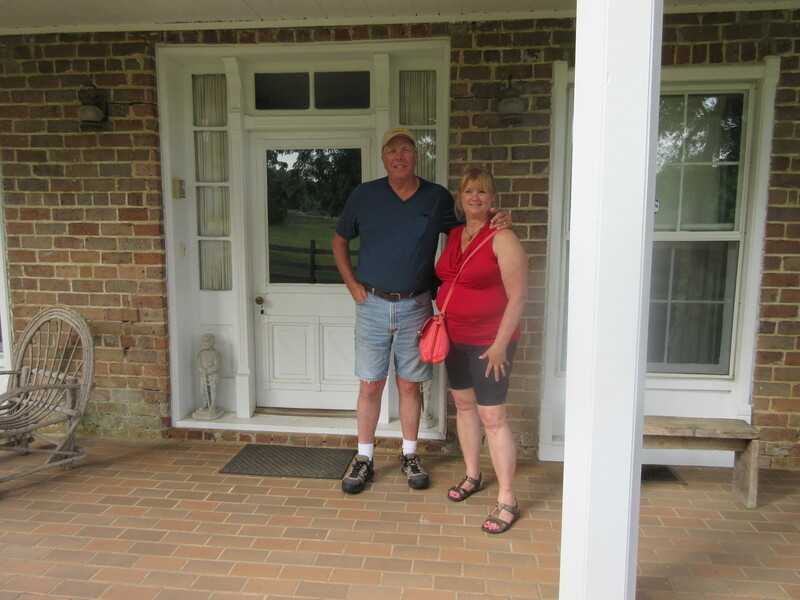 In 2011 they donated the home and surrounding property to Whitfield County. Besides the house, there is a general store example onsite and the historic tunnel that can also be part of the tour. The area is managed today by the Tunnel Hill Historical Foundation. Log onto http://www.civilwar.org/civil-war-discovery-trail/sites/tunnel-hill-heritage-center-and-clisby-austin-house.html for more information. Previous Post: Celebrating the Blue Moon – backyard party sytle. 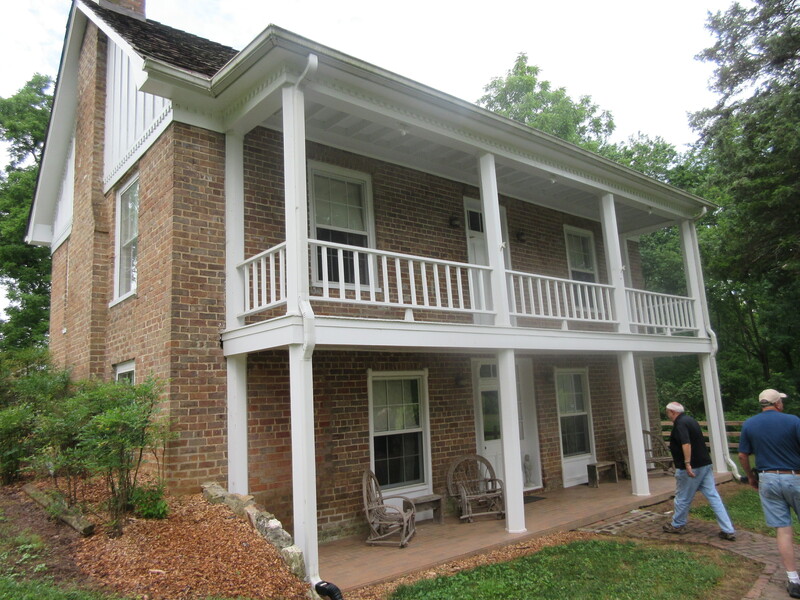 Next Post: Green –Meldrim House where Sherman's Atlanta Campaign came to an end.